Start a Monthly Giving Program in 3 Simple Steps and Grow! A monthly giving program has the power to double your donor retention rate. Harness this tried-and-true fundraising method for your organization in just 3 steps! 1. Get set for monthly giving with our recurring gifts processor. 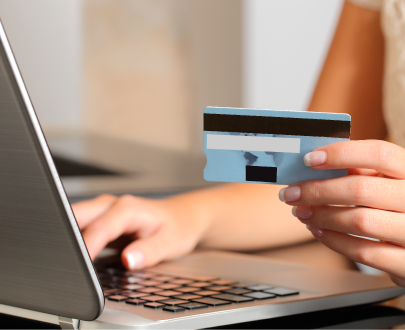 Through our pre-authorized payment processing service called EFT, you can offer donors a seamless way to give monthly. EFT sends payments from donors’ accounts on a schedule that you set up to our secure SafeSave Gateway. Because EFT integrates with DonorPerfect, all monthly gifts are instantly reflected in DonorPerfect and acknowledged via email. EFT makes the administrative aspect of maintaining a monthly giving program a piece of cake. 2. Optimize your DonorPerfect Online Form for monthly giving. DonorPerfect Online Forms are built for monthly giving. 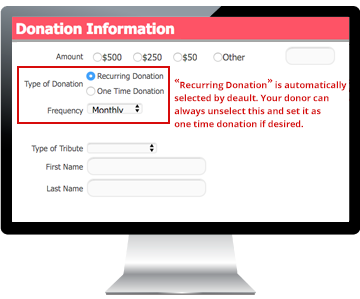 With the recurring gifts option, donors are able to choose the amount and frequency of their donations. Here’s how to set-up your form to promote and accept recurring gifts. 3. 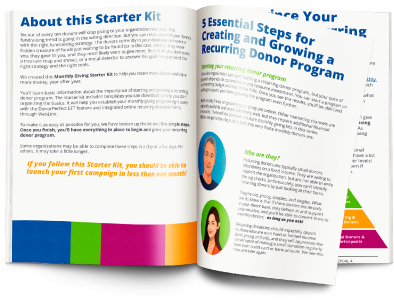 Download DonorPerfect’s FREE Monthly Giving Starter Kit. Monthly giving expert Erica Waasdorp dives deep into the stats, strategies, and successes that make monthly giving a fundraising must. Get the Monthly Giving Starter Kit free!